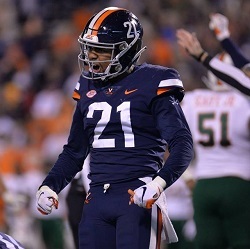 Juan Thornill, SS, Virginia (NCAA) — It’s possible Virginia senior safety Juan Thornhill hits so hard that some people forget he’s a defensive back and not a linebacker. Going into this season, Thornhill landed on watch lists for the Chuck Bednarik and Bronko Nagurski awards — both given to the national defensive player of the year — but he didn’t make the watch list for the Jim Thorpe Award as the nation’s top DB. 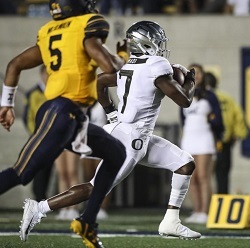 Ugochukwu Amadi, FS, Oregon (NCAA) — Last week, the Ducks defense bent too far and broke at the wrong time during a devastating loss to Pac-12 rival Stanford in which Oregon blew a 17-point lead in the second half and dropped a nail-biter in overtime. This week, the Ducks defense held up when necessary in a 42-24 win over California. Leading the way was senior safety Amadi, who had seven tackles and two interceptions, including a 32-yard INT return for a touchdown that gave Oregon a comfortable cushion in the fourth quarter. 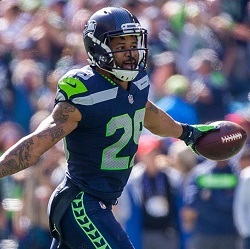 Earl Thomas, FS, Seahawks (NFL) — Earl Thomas is single-handedly destroying the notion of “distractions” in professional sports. In every season, in every one of America’s four major sports, there are stories full of speculation regarding teams underachieving and athletes suffering due to “distractions” off the field. Whether it’s legal problems (e.g. Addison Russell in MLB), disagreements over money (e.g. 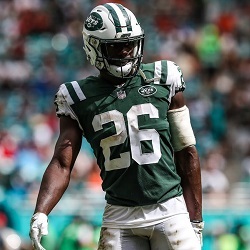 Le’Veon Bell), controversial issues (e.g. Colin Kaepernick), or a spat between teammates and/or coaches (e.g. Jimmy Butler in the NBA), the dreaded D-word is poison in pro locker rooms and just the threat of it is good enough for a team to hastily part ways with even its best players. Denzel Ward, CB, Browns (NFL) — Despite being the No. 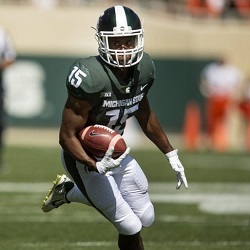 4 overall pick in the 2018 NFL Draft, Ward is not even the most talked-about rookie on his team. That’s because the Browns also had the No. 1 pick in the draft, and they used it on Heisman-winning quarterback Baker Mayfield. But in Cleveland’s season opener, Ward stepped into the spotlight while Mayfield never stepped onto the field. 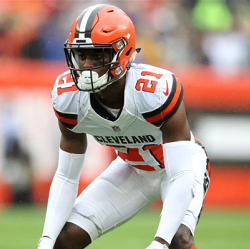 Ward started at cornerback and intercepted two passes to go with six tackles and three pass breakups in the Browns’ 21-21 tie with the Pittsburgh Steelers. Ward also spent some time covering Pittsburgh’s Antonio Brown, who happens to be probably the best receiver in the league. The first couple of weeks of the college football season are typically full of blowout games resulting from lopsided matchups. One of last Saturday’s most inspiring highlights happened in a game that wasn’t close between a big-name Big Ten team and one from the bottom half of the MAC. 1. 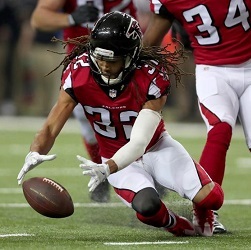 Jalen Collins, CB, Falcons (NFL) — After the Falcons jumped out to a 10-0 lead in the first quarter of Sunday’s NFC Championship game, the Packers drove into the red zone and were threatening to score. That’s when Collins stripped Green Bay fullback Aaron Ripkowski and also recovered the fumble. The Falcons scored on the ensuing drive, taking a 17-0 lead and cruising from there to a 44-21 victory and a spot in Super Bowl LI. 1. A.J. 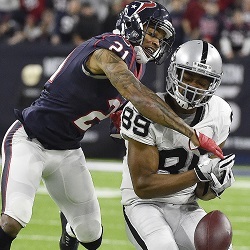 Bouye, CB, Texans (NFL) — Bouye’s impressive individual stat line was part of a collective team shutdown of the Raiders’ passing game in Saturday’s AFC wild-card playoff game. Houston’s top-ranked defense compelled Oakland rookie QB Connor Cook to post a paltry QB Rating of 5.5, while Pro Bowl WR Amari Cooper had just two catches for 10 yards and No. 2 receiver Michael Crabtree’s stellar season ended with a 2-reception, 33-yard thud. 1. 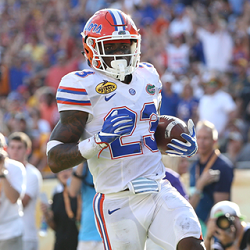 Chauncey Gardner, S, Florida (NCAA) — It’s nothing new to hear a quarterback or running back thank his offensive line upon winning an individual award. It’s less common to hear someone from the defensive backfield thank his larger, less-heralded teammates in that situation. 1. 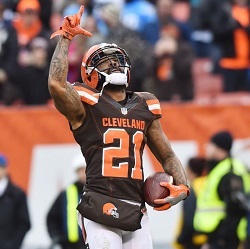 Jamar Taylor, CB, Browns (NFL) — I have an unofficial rule that you have to win to get on the Pick Six list, and so all season long I hadn’t even been able to consider putting a defensive back from my Cleveland Browns in this space. But then on Saturday, the Browns beat the Chargers 20-17, “improving” to 1-14 and avoiding the possibility of making history for all the wrong reasons. Taylor, in his first season as a regular starter after three years as a backup with the Dolphins, has shined enough through all the losing that Cleveland signed him to a three-year contract extension earlier this month.